UFO over forest. Quality embroidered shaped patch. (3) Place a cotton tea towel or fabric over the patch. (3) Place patch in desired position facing up. (1) Ensure surface the patch is going onto is flat. 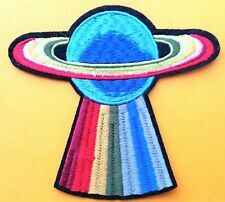 Saturn UFO Abduction Space Rainbow Patch Embroidered Iron On Quality 4"
Quality embroidered patch. Rainbow Planet. (3) Place a cotton tea towel or fabric over the patch. (3) Place patch in desired position facing up. (1) Ensure surface the patch is going onto is flat. Iron onto any fabric that is suitable for. 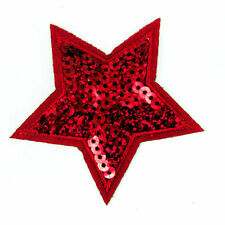 Red Sequin Star. Ideal for bags, clothes beautiful applique. Sew on or Iron On. One patch supplied. With 15 years experience in the crafting industry we aim to bring you the best craft products available. Astronaut: 3.5" x 2.25" (9 cms x 5.5 cms). Embroidered Space Man and Rocket patch set (2 patches). Rocket: 3" x 1.5" (8 cms x 3.5 cms). (ensure steam option is turned off). (3) Place a cotton tea towel or fabric over the patch, ensuring it remains in place. Beautiful DIY patch. Material: Cloth. Size: approx 7.6cm x 7.6cm / 3" x 3". Sew 'n' Iron On. Embroidered patch / badge / applique. Price for set 2 patches. Love this bright Rainbow Motif. Instructions: To iron - set iron to cotton (150-170 decrees c). Position motif, cover motif with damp cloth to prevent scorching. Press Iron on to motif for 30 seconds without moving. Rainbow UFO and planets. Quality embroidered patch. (3) Place a cotton tea towel or fabric over the patch. (3) Place patch in desired position facing up. (1) Ensure surface the patch is going onto is flat. Alien "Space legend". 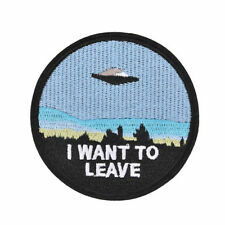 Quality embroidered shaped patch. (3) Place a cotton tea towel or fabric over the patch. (5) Turn item inside out and iron for 15 - 20 seconds on the reverse. (3) Place patch in desired position facing up. 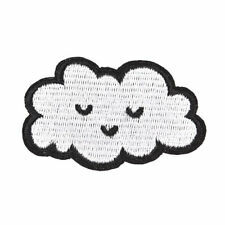 Not only can be a patch, but also can be a cute decoration. Great to sew/iron it on your own clothes, jacket, jean, cap, T-Shirt and etc. Color: White. Size: approx. 6cm x 3.5cm /2.36" x 1.37". Great for LGBTQ celebrations too! Colour: Rainbow. I have done my best to replicate the colours, however monitors vary. Beautiful DIY patch. Material: Cloth. Embroidered Sew or Iron on Patch. Cover a thin cloth on patch,and then iron on.Avoid using Iron directly on patch to protect the patch under high temperature. Place patch onto anywhere of cloth directly. Not only can be a patch, but also can be a cute decoration. Great to sew/iron it on your own clothes, jacket, jean, cap, T-Shirt and etc. Color: White. Type: Iron-On. Material: Cloth. Cover a thin cloth on patch,and then iron on.Avoid using Iron directly on patch to protect the patch under high temperature. Embroidered Sew or Iron on Patch. Place patch onto anywhere of cloth directly. Beautiful DIY patch. Material: Cloth. Type: Iron-On. Beautiful DIY patch. Material: Cloth. Soft and comfortable handfeel. Beautiful DIY patch. Size: approx 7.6cm x 7.6cm / 3" x 3". Material: Cloth.